Long before the invention of Twitter, celebrities had to engage in beefs while hiding behind far cruder avatars made of clay, in the even more juvenile arena of MTV’s Celebrity Deathmatch. The series, created by Eric Fogel, had its original run from 1998 to 2002, pitting famous people against each other in gruesome combat based on existing grudges, a loosely shared profession, or sometimes just the fact that their names kind of sounded alike. 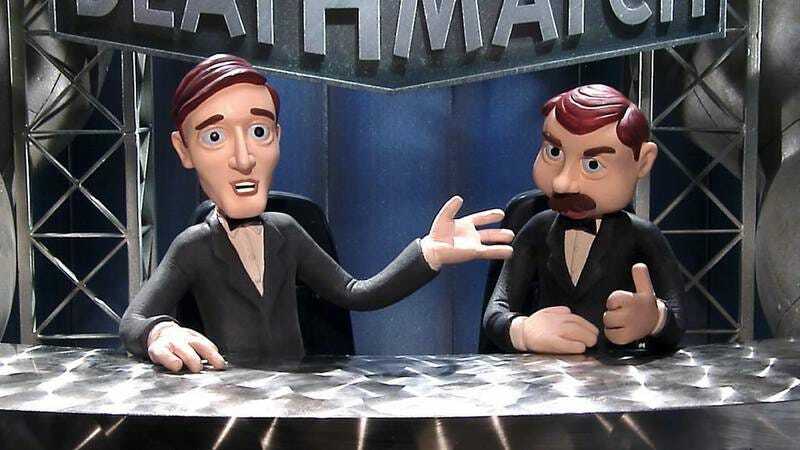 And now, after a short-lived revival in 2006, Celebrity Deathmatch is coming back again to settle the real or imaginary scores that have mostly played out via boring wars of words, instead of wars of kitchen implements shoved into various orifices. Fogel is returning to oversee the new Celebrity Deathmatch for MTV2, which will once again see today’s stars battling it out in the animated ring. But the new version will also be “reimagined for a social media world and hourly Twitter wars.” No one really knows what that means, including MTV. Maybe they’ll shove phones into various orifices? Alongside Celebrity Deathmatch, MTV2 has also picked up Uncommon Sense With Charlamagne Tha God, in which the radio host—who has two shows on MTV already—will preside over a panel of comics, “curating the loudest social media topics of the week.” And it’s also ordered Kingin’ With Tyga, in which the “Rack City” rapper hangs out with his mooching friends as they “indulge in his lavish lifestyle” while performing crazy stunts. All three shows fall under MTV2’s new programming model of inspiring you to smash things.